The Signal Path | An electrical engineering video blog for industry professionals, students and hobbyists. In this episode Shahriar takes a close look at an EG&G DSP-Based Lock-In Amplifier. 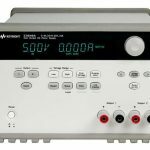 This instrument provides excellent sensitivity for both voltage and current inputs and is based on a fully digital architecture. The instrument’s LCD screen is dim and unreadable. Furthermore, a few lines are missing from the LCD pointing to a failed zebra strip. The instrument’s block diagram is examined and explained. The teardown reveals the structure of the LCD screen, front-end blocks and internal PLL. The CCFL back-light inverter is located and replaced with a low-voltage DC-DC converter for use with an LED strip. The instrument’s functionality is verified through a few experiments including measuring the 3dB bandwidth of an RC filter as well as measuring the photo-current induced in an LED using a synchronized infrared light source. In this episode Shahriar investigates a malfunctioning E3646A Dual Channel Programmable Power Supply. The power supply provides the correct output voltage on one channel. 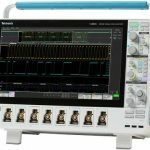 However, the second channel produces no output and continuously reads 0V and 0A. Applying an external voltage to the malfunctioning channel produces the correct readout from the instrument display suggesting that most of the channel circuitry is functional. After a close examination of the power supply schematics, the problem is traced to a failed solder joint. The DAC output amplifier is disconnected from the output transistor and after repairing the colder joint, the power supply is fully functional. 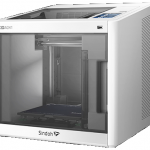 In this episode Shahriar reviews his new 3D Printer Sindoh 3DWOX 1. This printer offers several attractive features. The fully enclosed design is quiet and equipped with a HEPA filter. The unit is also equipped with a webcam and internal lighting. The printer has several automatic capabilities such as auto filament load from a cartridge, bed-leveling and print parameter optimization. The printer is also completely compatible with off-the-shelf filaments. You can purchase a 3DWOX 1 printer from here or visit the manufacturer’s website for more information. In this episode Shahriar reviews the very unique SAF Spectrum Compact V-Band portable spectrum analyzer. 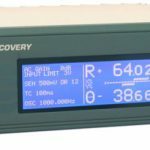 These battery powered devices do not require external down-converters, and a particularly useful tool for any field engineer performing microwave equipment installation, link troubleshooting, site planning and maintenance. The analyzers utilize a resistive touch screen, allowing the engineer to wear gloves when using the device. 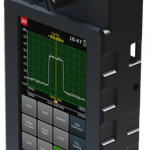 The Spectrum Compact can be used for high precision detection of existing interference on installed paths or available radio channels. Data logging of all spectrum scans is available with the Spectrum Compact device, and enhanced data processing and analysis are provided by SAF Tehnika designed PC software for your laptop.